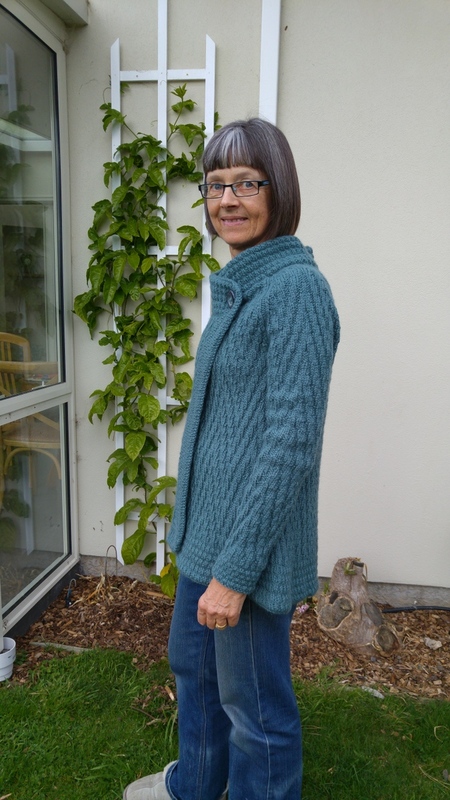 I knit the Pan Am jacket a few months ago and it has been perfect for the cool spring weather. The pattern is from Ravelry and you can see my detailed blog post there as well. I used Ashford Tekapo 12-ply that I bought from the Hands Ashford store in Christchurch. 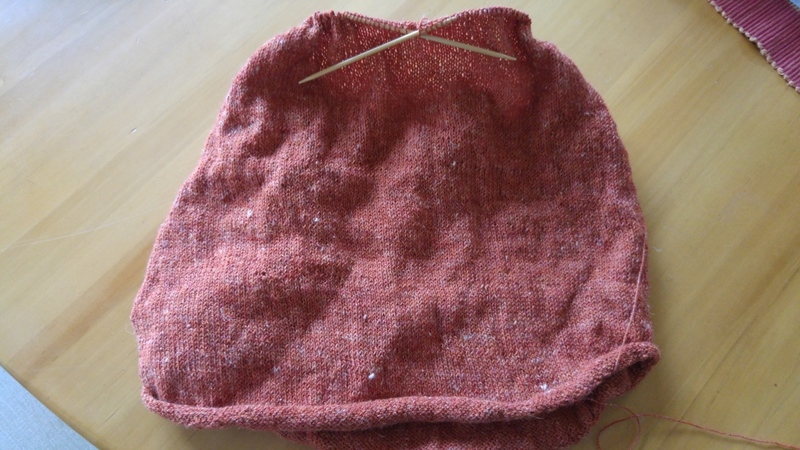 I lengthened the sleeves and body as the wool is quite warm so, if I am going to wear it, I will probably want to be well covered. 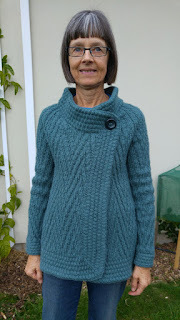 The pattern was a nuisance to figure out but there are some helpful hints by other knitters on the Ravelry website, which helped a lot. The border took forever! Don't think I'll make it again but I do love it. I have two other sweaters on the go. 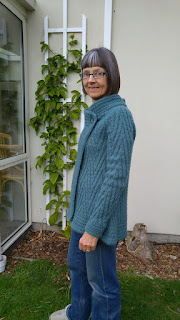 One is for me - the Whippet cardigan in Holst Garn Nutmeg that I ordered online from Yarn Glorious Yarn. I'm a little bogged down in the sleeves. I started using the Magic Loop knitting technique from Knitting Daily but I didn't have a flexible enough circular needle and the pattern was looking ugly at the 2 turn points so I have switched to double pointed needles, which hopefully will make it less ugly. 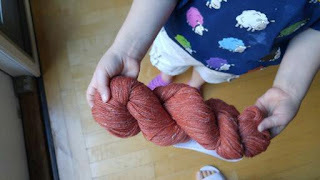 The other sweater is for my sister - the Lightweight Raglan Pullover from PurlSoho in Linen Quill Kiln Red as demonstrated by my granddaughter. It's a breeze to knit so far. 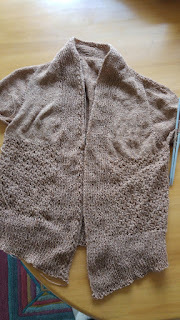 The bottom will need serious blocking as it rolls up in spite of the cording stitch.